Paul is from the state of Maryland. Throughout his childhood, he demonstrated a natural talent for drawing. He won several local art competitions as a youth and was selected as a Maryland State Scholar in the Visual Arts for gifted high school students. During his teen years, he started to paint in oil and acrylics... quickly learning the dynamics of the mediums. However, Paul followed another calling and joined the United States Navy. Having never stopped thinking about pursuing a career as an artist, he worked on his degree in art throughout his naval career by attending evening classes during his shore duty rotations. Whenever Paul’s ships made port visits in the Mediterranean, he became an impromptu tour guide for his buddies and discussed the historical aspects and art techniques used in various pieces of art throughout European cities. He began to paint in earnest in 2006. He successfully began selling his work in shows and galleries. After retiring from the U.S. Navy in 2008, he earned his Bachelor of Fine Arts Degree from Old Dominion University in 2009. 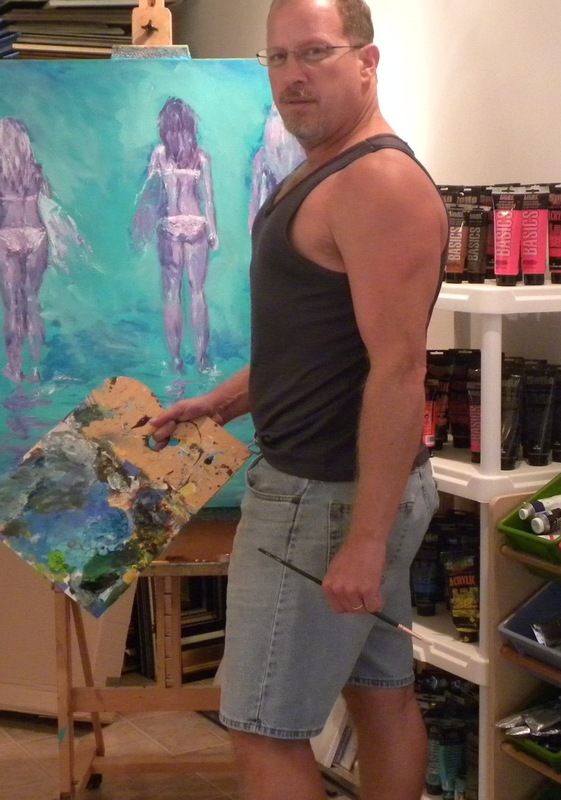 Paul built his first art studio in 2006 at his home in Virginia Beach, Virginia. With the full support of his wife, Kimberly, he started his business, Emig Impressions. His work has been displayed in numerous shows, galleries and festivals along the U.S. east coast. Paul and his wife moved to Indian Harbour Beach, FL in April of 2014. He currently displays his work at shows and festivals throughout Florida.